In a frying pan, heat the olive oil over medium heat. Sauté the onions, mushrooms and garlic for about four minutes, or until soft. Transfer the sautéed onions, mushrooms and garlic to a food processor; add all remaining ingredients and blend until smooth. Form into small balls (about the size of a golf ball) and place on a lightly oiled cookie sheet. Bake covered for thirty minutes. Then uncover, flip meatballs and bake for an additional ten minutes uncovered. Let them cool for five to ten minutes before serving. Kendall’s Tasty Tip: These also make great party hors d’oeuvres – and when you’re feeling up to it, have a little get-together just to celebrate you. 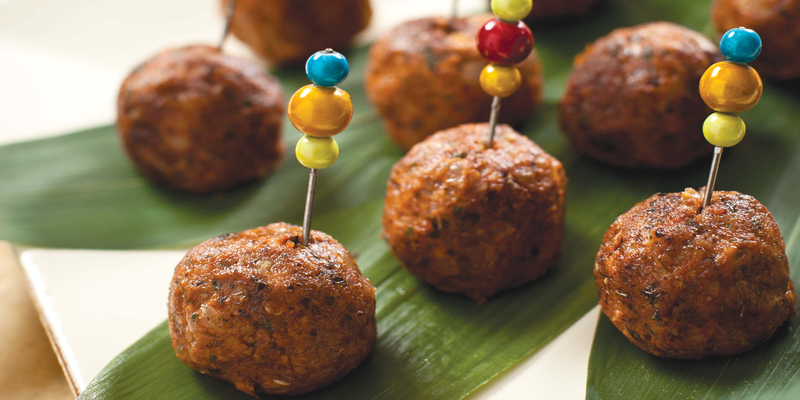 Just arrange the meatless balls on a platter with some toothpicks and set them out for the guests to enjoy.